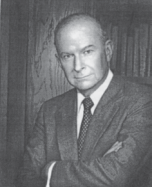 Thomas Anderson Roe, Jr. (1927-2000) was a businessman and industrialist from Greenville, South Carolina. He was the founding chairman of the State Policy Network (SPN) as well as founder of the South Carolina Policy Council. In the mid-1980s, Roe allegedly told fellow wealthy conservative donor and Heritage Foundation trustee Robert Krieble, "You capture the Soviet Union -- I'm going to capture the states." He was an adviser to President Ronald Reagan and was called "an architect of the South Carolina Republican Party." He died in 2000, but his Roe Foundation "continues to provide financial support to free-market policy groups across the country." This article is a breakout of the State Policy Network article. Please see State Policy Network for more. The main characters in Ayn Rand’s The Fountainhead also take a stand against a "collectivist world." "First, 'the maximum potential of a free people is achieved when they are free to control their own destiny'; second, 'the greatest threat to these freedoms is intrusive government'; and third, 'the Judeo-Christian tradition represents the underpinnings of a just society.' Furthermore, recipients of the foundation’s support must recognize 'the importance of state and local organizations functioning alongside national organizations in the pursuit of a free society.' Finally, they must 'educate the public at large and all public policy makers to a better understanding of these fundamental values and practical ways to achieve the goals of expanding human freedom.'" A few grants can go to "nonprofit organizations in the metropolitan area of Greenville until such time as there are no descendents [sic] of Tom or Shirley Roe living there, but one such grant, to the Greenville Symphony Orchestra, "stipulates that its musicians cannot unionize. 'Tom didn’t like unions,' says [his widow] Shirley Roe." Roe gave the Mont Pelerin Society and Philadelphia Society "standing to sue" the Roe Foundation if, after his death, the Roe Foundation makes a grant to an organization “whose activities or public statements reflect a belief in a collectivist world or any view inconsistent” with the foundation’s announced principles (emphasis added), according to Chicago lawyer Paul Rhoads, who has written for the Philanthropy Roundtable. According to CRC, Roe was vice chairman and finance chairman of the Republican Party in South Carolina and a member of the Republican National Finance Committee. He was a delegate to the 1964 Republican National Convention, where he "enthusiastically supported the doomed candidacy of Barry Goldwater." But according to Ed McMullen, president of the South Carolina Policy Council, "He became frustrated with going to meetings of Republicans and discovering that nobody else in the room had even heard of economists such as Ludwig von Mises or Friedrich Hayek." And, according to SPN's founding executive director, Byron Lamm, "He was also concerned that a lot of Republicans were country-club types who weren’t really committed to free-market ideas." As John J. Miller summarizes in his CRC article about Roe, "Too many of them simply hadn’t read their Hayek." So he turned to conservative policy foundations and was an early funder of the Heritage Foundation, joining Joseph Coors, Samuel Roberts Noble, and Richard Mellon Scaife. He led Heritage's finance committee. According to CRC, Roe grew up on his family's farm. He attended Furman University near Greenville, graduating in 1948. The school later gave him an honorary law degree in 1980. He did cancer research as an undergraduate there. In 1961, his father died and he inherited his business, Citizens Lumber Company. In order for his and other family-owned building materials dealerships to be able to compete with chain stores, he created "Builder Marts of America" to supply "a variety of services to independent dealers, including advertising, security, accounting, and training." Meanwhile, a subsidiary, Builder Way, "moved to acquire" businesses that became available "when a client of Builder Marts would retire or die." He also started a long-distance phone service to take advantage of the telephone industry deregulation. It was eventually taken over by MCI. Builder Marts became a "Forbes 500" international company by 2000. ↑ Thomas A. Roe, interview with Lee Edwards, April 13, 1996, Naples, FL. Cited in Lee Edwards, The Power of Ideas: The Heritage Foundation at 25 Years, Ottawa, Illinois: Jameson Books, 1997, p. 91. ↑ About. State Policy Network. Retrieved on 2011-04-19. This page was last edited on 7 August 2017, at 19:08.